On May 5-20, 2012 we presented a Revelation Seminar in Gingoog City and more than 125 Bible students graduated. 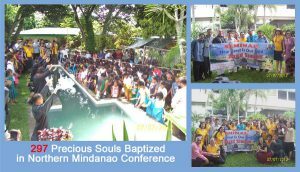 Praise the Lord for the 45 souls who accepted and were baptized. From Reva Moore: Each month we plead with the Lord for sufficient funds for monthly stipends of around 400 adopted ministers and over a hundred of them no longer have sponsors. May God bless you always so you could send donations for God’s workers. 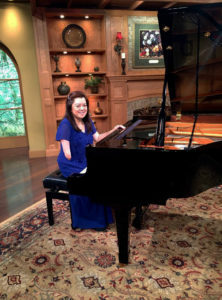 You may mail your check to: Adopt a Minister International, 7811 Laurel Court, Denham Springs, LA 70726. We will send you a tax-deductible receipt. We should now feel the responsibility of laboring with intense earnestness to impart to others the truths that God has given for this time. We cannot be too much in earnest…. Now is the time for the last warning to be given. There is a special power in the presentation of the truth at the present time; but how long will it continue?—Only a little while. If there was ever a crisis, it is now. All are now deciding their eternal destiny. Men need to be aroused to realize the solemnity of the time, the nearness of the day when human probation shall be ended. Decided efforts should be made to bring the message for this time prominently before the people. The third angel is to go forth with great power.—Testimonies For The Church 6:16 (1900).